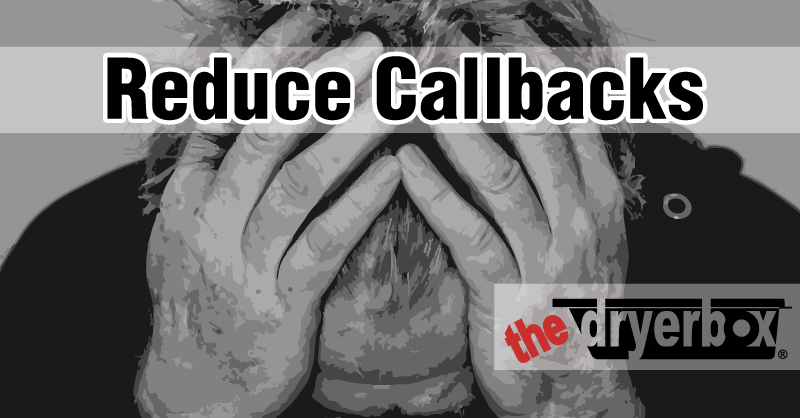 When you receive a callback, you have not only lost time and money in your current schedule, but you also lose the profit margin on the initial install. Someone having "accidents" around your hard work doesn't affect them, it affects you. The Dryerbox comes to the rescue. By installing The Dryerbox, you help to guard against exposed dryer duct venting, which could lead to not only damage to the exposed pipe, but also the hidden ductwork as well. Extraordinary dryer hose protection, The Dryerbox moves the exposed pipe out of the way, protecting it from clumsy visitors.